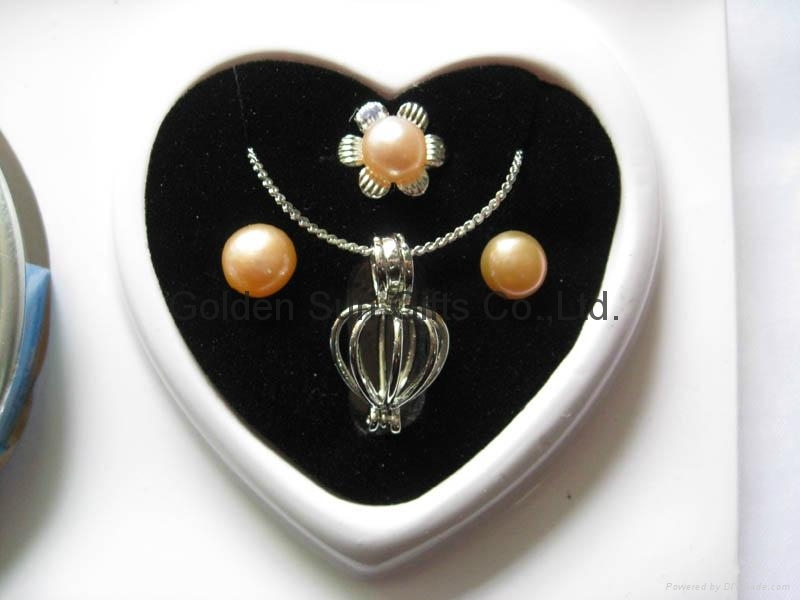 The classical love pearl wish pearl with a real 6-7mm freshwater pearl in the live oyster and different shape necklace pendants. "Make a wish, realize the wish" this is the perfect Christmas gift for a girl of any age. 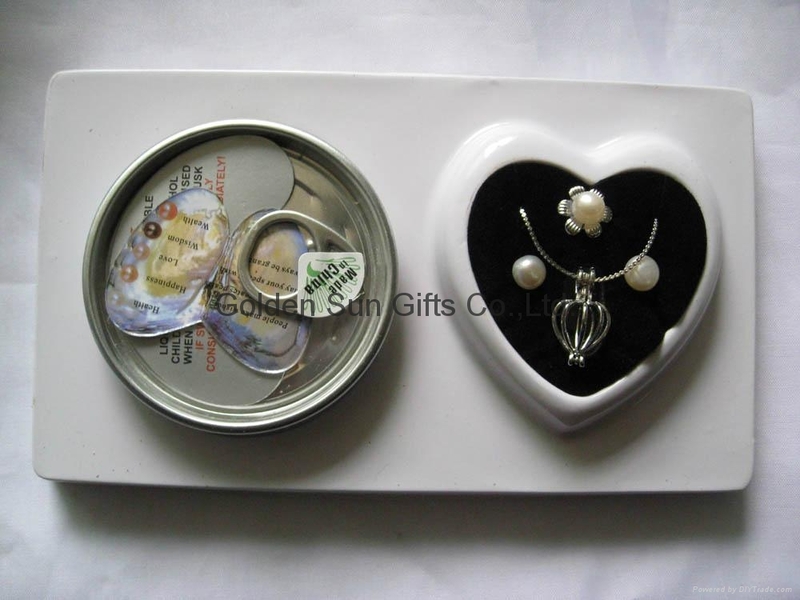 The beautiful box contains a real oyster with a genuine cultured pearl inside. 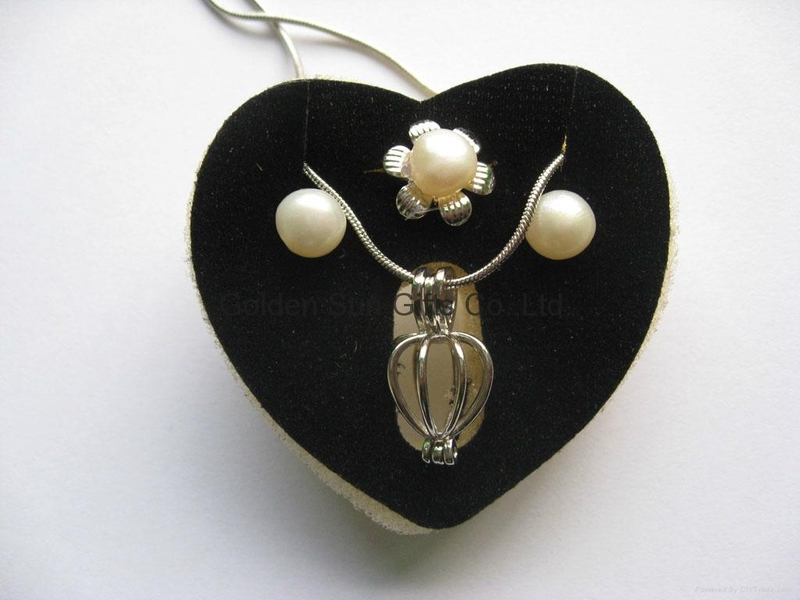 After the oyster is opened and the pearl is removed there is a silver colored chain and pendant to put the pearl in and wear. The pearl could be white (for health), cream (for happiness), peach (for love), lavender (for wisdom), or gold (for wealth), you won't know until you make a wish and open the oyster. Only nature could create such a perfect gift; Love pearls and wish pearls. We are very pleased to introduce our hottest item; Love pearls and wish pearls which are selling very well all over the world. 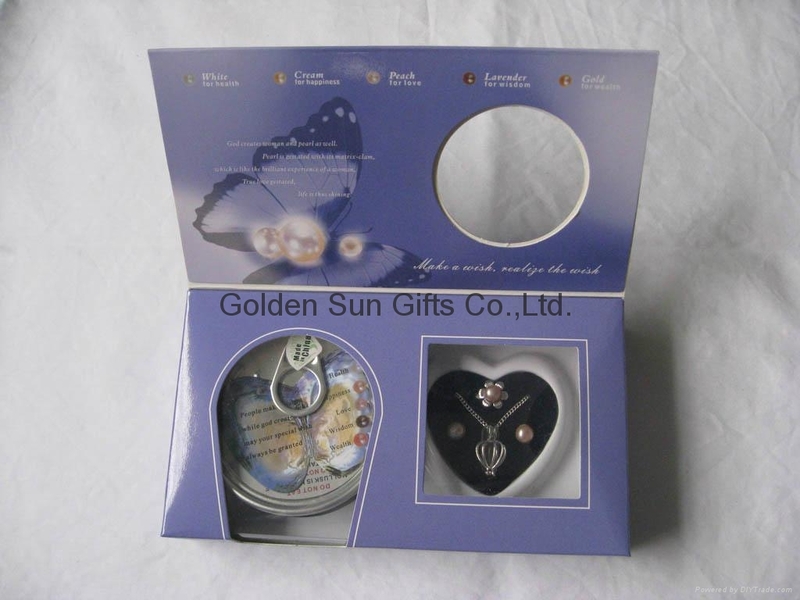 Since they are a unique and creative gift, they can be sent to lovers, friends and family. Whoever receives them will be surprised, because it is a gift that best expresses genuine love. Necklace is made of copper with shiny rhodium plating. 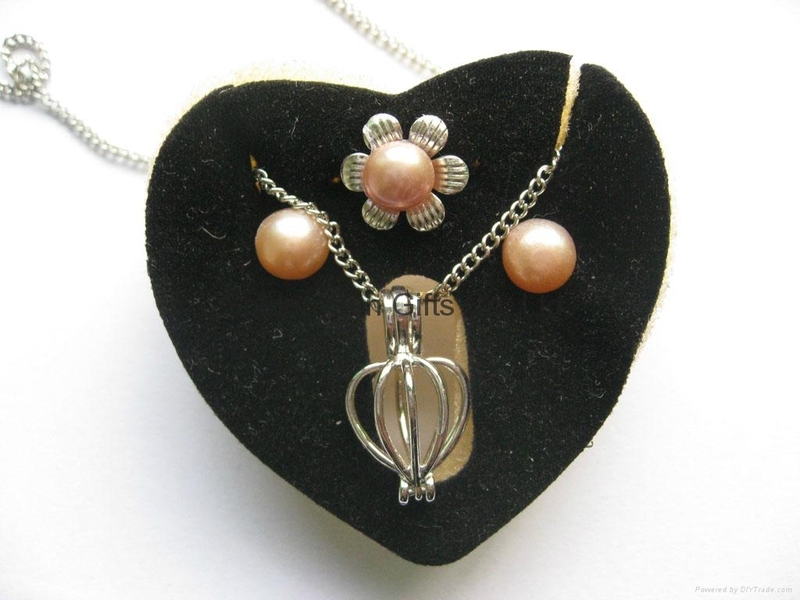 Material: Genuine freshwater pearl and Necklace material based on copper with shinning rhodium platin. Any other requested materials on the necklace and the ring or earing is avilable.